If you're looking for luxury cars on Long Island, coming to Audi of Huntington is a wise choice. We pride ourselves on delivering a unique shopping experience to our clientele, as you deserve treatment commensurate with the Audi brand. Whether you're interested in buying one of our newest Audi models, stopping by for service on the Audi, or have questions regarding financing, our experienced Audi team can handle your needs! We have an expansive inventory of new Audi models that's sure to impress. From sleek Audi sedans, like the 2018 Audi A4, to classy cabriolets and sophisticated SUVs, like the 2018 Audi Q5, rest assured that you can find the perfect luxury car right here in Huntington Station. We also have thrilling options like the 2018 Audi R8 for those who want added space or a nice change of pace. If you're trying to upgrade with a smaller budget, one of the many pre-owned Audi models we have for sale is sure to satisfy. Regardless of the vehicle you choose, our Audi finance professionals will be happy to assist you with your purchase. Maintaining your luxury car is extremely important, as your Audi needs proper upkeep to perform as it is engineered to. That's where our Audi service center comes in. You can count on our Audi-certified technicians for any repairs and maintenance your Audi requires. 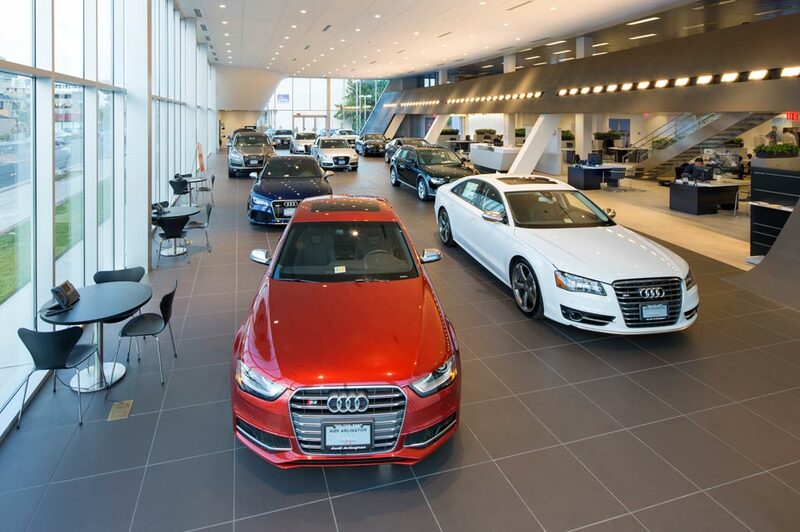 Get your luxury car the attention it deserves by scheduling your next service appointment with Audi of Huntington. You can also order OEM Audi parts and accessories from our website, or stop by in person to buy replacements for your floor mats, windshield wipers and more. When you need a team you can trust with your car's health, remember to call our Audi service department first! When you're ready for a refreshing car dealership experience, come find us at 363 E. Jericho Turnpike in Huntington Station, NY. Here you'll receive first-class customer service tailored to you!